Thanks to you and our vendors, the 9th Annual Meek’s Contractor Expo was a huge success! 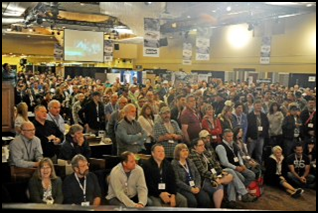 On April 25th, we had over 1,500 people attend Expo at Harrah’s Lake Tahoe. This Expo was record breaking with over 75 vendors filling Harrah’s convention Center and the additional 9,000 square foot Tool Tent. Our vendors also sponsored the Cocktail Party and Dinner the night before. Please help us thank them by buying their products! We hope you enjoyed the two day event as much as we did. We thank you for your business and look forward to seeing you at the next Expo.